CLICK BELOW TO HEAR JOE REGELSKI ANSWER THE QUESTION: HOW DID YOU ARRIVE AT "THE KAMEL?" CLICK BELOW TO HEAR JOE REGELSKI ANSWER THE QUESTION: WAS ALEX ALREADY AT "THE KAMEL?" CLICK BELOW TO HEAR JOE REGELSKI ANSWER THE QUESTION: WAS IT HARD FOR YOU TO ADJUST TO THE TYPE OF AHOW THAT ALEX BROUGHT TO "THE KAMEL?" CLICK BELOW TO HEAR JOE REGELSKI ANSWER THE QUESTION: HOW LONG WERE YOU AND ALEX TOGETHER AT "THE KAMEL?" CLICK BELOW TO HEAR JOE REGELSKI ANSWER THE QUESTION: HOW DID YOUR RELATIONSHIP WITH ALEX DEVELOP? CLICK BELOW TO HEAR JOE REGELSKI ANSWER THE QUESTION: HOW DID THE STUDIO AUDIENCE ASPECT OF THE SHOW COME ABOUT? CLICK BELOW TO HEAR JOE REGELSKI ANSWER THE QUESTION: HOW WOULD YOU DESCRIBE "THE ALEX BENNETT SHOW?" CLICK BELOW TO HEAR JOE REGELSKI ANSWER THE QUESTION: DID YOU AND ALEX HAVE ANY CONFLICTS WITH MANAGEMENT? CLICK BELOW TO HEAR JOE REGELSKI ON ALEX BENNETT'S MOTHER ON "THE KAMEL?" 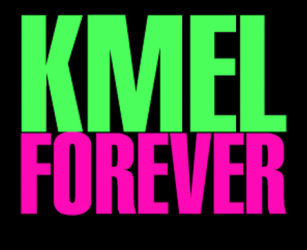 CLICK BELOW TO HEAR JOE REGELSKI ANSWER THE QUESTION: WHY DID YOU AND ALEX LEAVE "THE KAMEL?" CLICK BELOW TO HEAR JOE REGELSKI ANSWER THE QUESTION: WAS IT HARD FOR YOU TO FIT IN WITH THE COMEDIANS? CLICK BELOW TO HEAR JOE REGELSKI ANSWER THE QUESTION: HOW DID THE COMEDY ANGLE DEVELOP? CLICK BELOW TO HEAR JOE REGELSKI ANSWER THE QUESTION: WHAT IS YOUR RELATIONSHIP WITH ALEX LIKE TODAY? CLICK BELOW TO HEAR JOE REGELSKI ANSWER THE QUESTION: WHAT IS ONE THING THAT STANDS OUT TO YOU FROM YOUR STAY AT "THE KAMEL?" CLICK BELOW TO HEAR JOE REGELSKI ANSWER THE QUESTION: WHAT DO YOU THINK WAS IMPORTANT TO THE SUCCESS OF "THE KAMEL?" CLICK BELOW TO HEAR JOE REGELSKI ANSWER THE QUESTION: WHAT WAS THE MOST SATISFYING THING FOR YOU FROM YOUR TIME AT "THE KAMEL?" CLICK BELOW TO HEAR JOE REGELSKI ANSWER THE QUESTION: WHAT ARE YOU DOING NOW?